Could you spare a little time for the cats in our care? 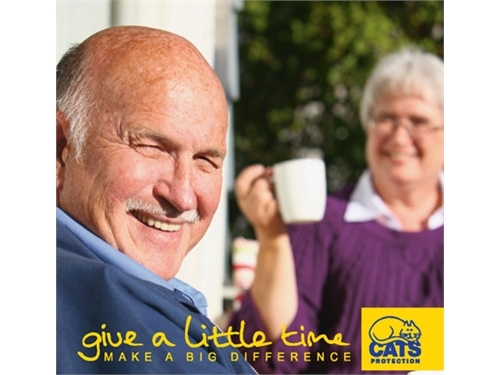 Welcome to the Cats Protection volunteer page for our Bredhurst and Maidstone Centres. We have two main roles for our volunteers at our centres, Cat Care Assistants, Fundraisers. For Cat Care Assistants we are looking for committed, enthusiastic, cat loving individuals who would like to join our volunteering team. This volunteer position involves various duties around the centres, with a focus on ensuring the cleanliness of the cats enviroments. If you are interested in becoming a Volunteer Cat Care Assistant please see the dates below for our next application dates. Our Friends of Bredhurst Committee work towards ensuring that every cat that comes into our care is provided with the best environment, resources, love and attention by raising vital money through fundraising and ensuring the money raised is used to benefit the cats in our care. We have a wide range of opportunities available to suit your requirements and flexibility from organising our ever popular events to manning a stall for an hour or two. You are the people who can make a real difference to our charity. Joining our volunteer team is a great way to meet new people who all have at least one thing in common..... we love cats!